One of my new friend’s is an adorable second grade teacher named Stacee. She is witty and funny and cute as a bugs ear. She is also single. Mr. Bernie thinks he needs to fix that. He will go on and on about all her great points and then say, “We need to find her a guy to go out with.” I assumed that was talk until he tried to set Stacee up with a married man! Stacee was going to stop by the shop to pick up some stuff for Rez Dog Rescue a couple of weeks ago. She fosters puppies and I had a bunch of newspaper to give her. Anyway, when I mentioned to Mr. Bernie that she was going to stop by he brought up again how she needs to date someone. A few minutes later a very attractive man came in to order a stamp. Mr. Bernie got to talking with the guy about his stamp and then a light-bulb must have gone off. To my shock he said, “I have this friend. She is funny, cute, and single. Would you be interested in meeting her?” I about dropped my damned teeth I was so shocked! The guy turned beet red and stared at Mr. Bernie for a beat or two. He did some errr and ummmm. Mr. Bernie then decided to check for a ring. Right about then the unwitting prospect flashed his ring hand, kind of like a girl, and told Mr. Bernie that he was married. I was laughing so hard I was choking. As luck would have it, Stacee bopped in right after the hand flashing incident. I was still laughing pretty hard when she walked in. Mr. Bernie looked up at her and said, “Hi, Stacee. I was trying to set you up on a date but this guy is married. 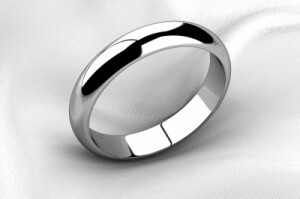 I guess I didn’t think to look for his ring before I started trying to set something up.” She blushed. The guy standing at the counter blushed to beat the band. Without missing a beat, Stacee replied, “Mr. Bernie you have to look for a ring first. Thank you for thinking of me but I don’t date married guys. Good try. Next time look for the ring.” The poor guy is chuckling nervously and wishing he could just crawl in a hole somewhere. Finally, his order was finished and he flew out of our shop like his hair was on fire. Thankfully, Stacee took it all in stride. Later that night, Mr. Bernie and I were discussing the cute guy at the counter. Mr. Bernie told me, “Ya, know it never occurred to me to look at a MAN’s hand for a ring. I used to do that for girls when I was dating but now I have to start noticing a man’s hand? I’m not going to give up. Stacee needs someone to date and I’m going to see if I can make it happen!” Thatta boy! If you are in the Billings area and know of a nice single guy in the Billings and surrounding area, send him Mr. Bernie’s way. The guy must be in his 30′s, love dogs as she has several of them. He needs to have a good sense of humor; be actively employed; and have his own place. In other words, doesn’t live with his Momma in the basement and play video games all day. He can be a handy man crafty sort with a firm but gentle touch. Lastly, should be no sign of ring wearing visible to Mr. Bernie’s scrutinizing eye. If you know someone who fits this criteria or you fit the criteria, send me an email. We can set up a time for Mr. Bernie to grill interview you. Hilarious story, although it could have had a bad ending. You know, my eldest daughter’s friend match-maked for my daughter, who married Marc in September. Matchmaking works. I was so happy when I got that email. The bad thing about reading email on your phone is you mean to reply and then don’t. I’m glad to see you stopping by. I owe you a long chatty email. Love it. Send Mr Bernie to Oklahoma. Boy do I have a challenge for him! *howling* It wouldn’t be a challenge my friend. Oh, my! Mr. Bernie could have caused some serious trouble! It’s a good thing the guy was honest and was wearing a ring. Maybe Mr. Bernie should do some research into matchmaking before he does any damage. Sandra, I think it was just so surprising for him to do that. I think the words were out of his mouth before he even thought about it. YEAH – Bernie is back!! and thanks Mr Bernie for the laughs!! Happy New Year everyone!! Thank you, Atti! It’s fun to be blogging again. This gave me such a great chuckle this morning. I hope your unsuspecting customer returns. I love that Mr. B. takes such good care of folks, he is the best! Glad to have your posts back for 2014!! I’m thinking he will be back. Mr. Bernie will just be more cautious next time. Go Mr. Bernie I am sure there is someone out there just be sure he isn’t married. I missed your blogs!! Welcome back!! I better do the same too! Thank you. I see you got a blog in today as well. Mr. Bernie has as big of a heart as you do, Bernie!!! What a sweetheart to try to find a suitable guy for Stacee.